Enjoy a 3 Days and 2 Nights Stay in a Deluxe Hotel Room at the Seabreeze Vacation Villas & Country Club for this Christmas Bahamas Vacation for as little as $599! Make this winter memorable with a Bahamas Vacation. This is Christmas deal that is sure to make you jolly! Stay for 3 nights and 2 days for only $599 at Sea Breezes. But you are not just getting the room for that price. We will include couples tickets for Paradise Cove Snorkeling, and a romantic dinner cruise! Enjoy your deluxe hotel room and all of the above for a cheap hotel price! How could you pass up this amazing deal for the Christmas season? The temperatures in the Bahamas in December are heavenly! Warm enough to swim and enjoy the sunshine, but cool enough not to melt! And sunny skies will be in no short supply, rainfall almost completely disappears in December. Sea Breezes offers a lot more than most other places to stay. It is a family owned business, so there is a very friendly atmosphere. There is a gated entrance, which means a safer stay for you and your loved ones. If you get tired of the swimming pool, their privet beach is only a few minutes walk from the property. There is an area to picnic and barbecue, where most families that stay there mingle and hang out. This season means the weather will be perfect to utilize the hot tub. With this deal you will be able to go snorkeling for free! See the amazing beaches and sea life. Go boating or fishing in the clear waters. Visit the zoo or one of the galleries in town. Enjoy the history with a trip to the museum or one of the forts on the island. There are also fantastic water parks and attractions. End your day with a beautiful dinner cruise, which is also included in this deal. 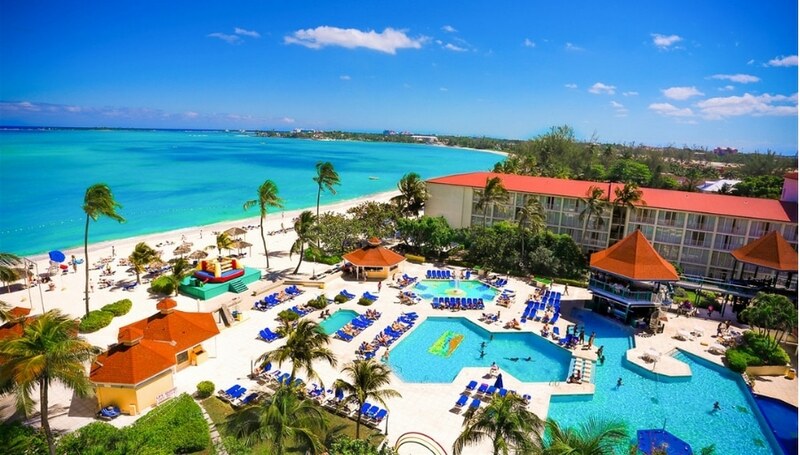 All around the Bahamas is the place you want to stay this Christmas!